The dough starts out sticky and remains that way through the mixing and the first rise time. The dough doesn’t get any kneading before the first rise and flour isn’t added to the dough to firm it up. While I was forming the dough balls, I placed flour on my kitchen counter and dusted my hands lightly with it before forming each ball. 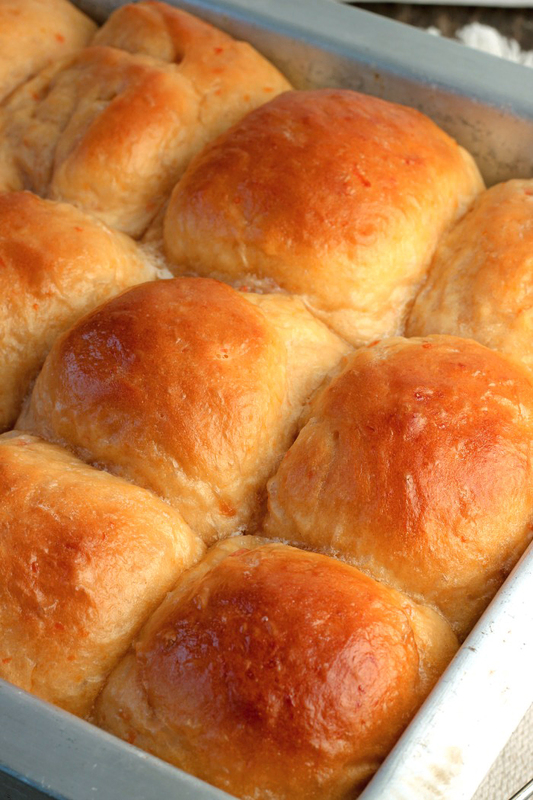 These few little differences in the directions make for an outstanding yeast roll and a welcome addition to any dinner or holiday celebration. 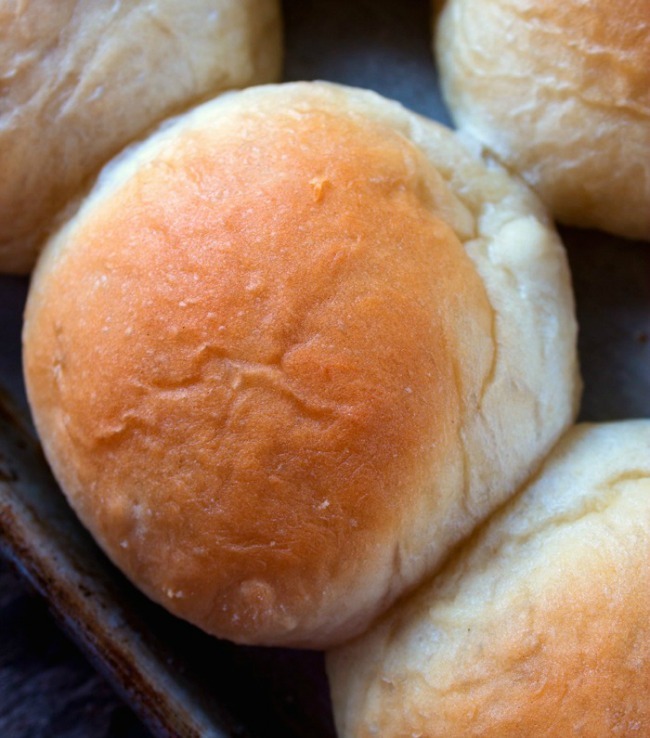 Cafeteria Lady Rolls soft, tender and delicious!… Enjoy! Add yeast to warm milk, set aside for a couple minutes. Measure out the dry ingredients, place into the bowl of an electric stand mixer. Using the paddle attachment,add milk/yeast mixture slowly to the bowl with the mixer on medium speed. Mix until the dough (which will be sticky) leaves the side of the bowl and starts to gather around the paddle attachment. Do not kneed or add flour to the dough. 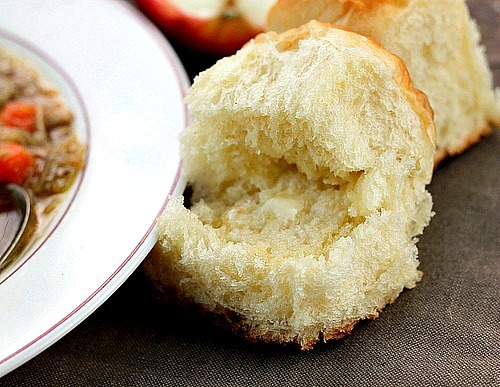 Place the dough in a well oiled bowl, turning to coat. Let rise till double in size in a draft free place. Stir the dough down (it will be sticky) form into balls. Do not add flour to the dough, place flour on the counter and coat your hands with it as needed to roll the sticky dough. 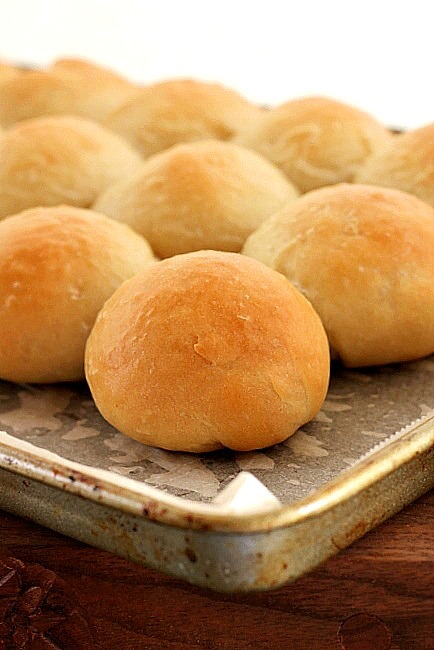 Place the dough balls on a greased cookie sheet an inch apart to give them room to rise. Let rise in a draft free place until double in size. Bake at 425 degrees for about 20 -25 minutes OR until brown. Brush with butter while hot. 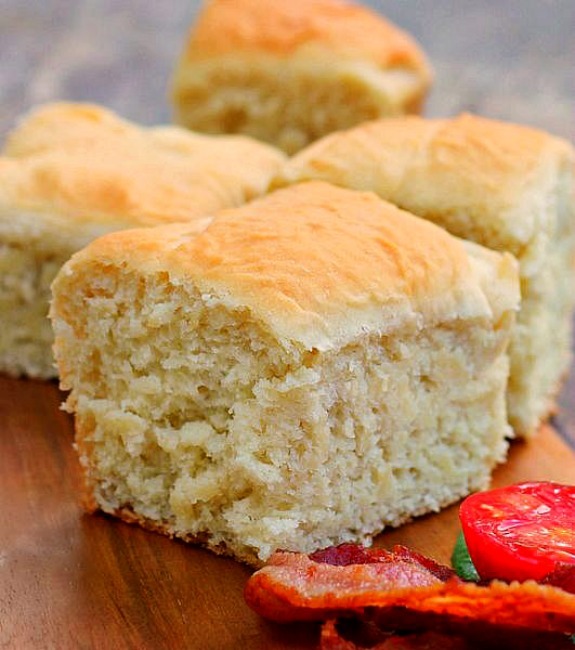 If you enjoyed this recipe, you may like these as well. 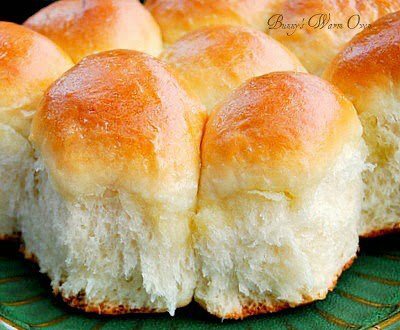 Bunny, These rolls look scrumptious, like all of your other recipes for rolls. However, I must confess that I am a bit intimidated by yeast, because the one and only time that I made a recipe that called for yeast, it really bombed. It could have been that the yeast was bad, or else I just didn’t follow the instructions correctly. At any rate, I haven’t tried using yeast since that time, but I am sorely tempted to give it another whirl with your latest recipe. Anyone else out there who is timid about using yeast? Valerie I know exactly how you feel! I use to be intimidated by yeast as well. I can’t really say what could have happen when you tried the recipe that failed . I can remind you to always check the date on the yeast before using it. Also, the liquid (usually water that is mixed with the yeast should be no warmer than 115 – 120 degrees in warmth. Anything hotter than that would kill the yeast. 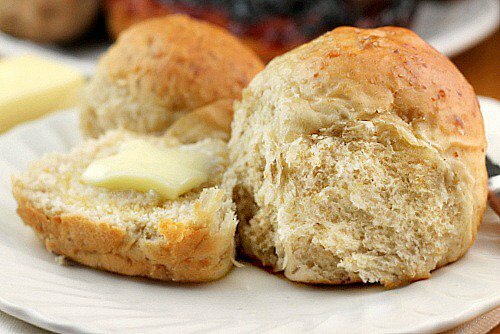 If you try the rolls let me me how you did, I’d love to know! 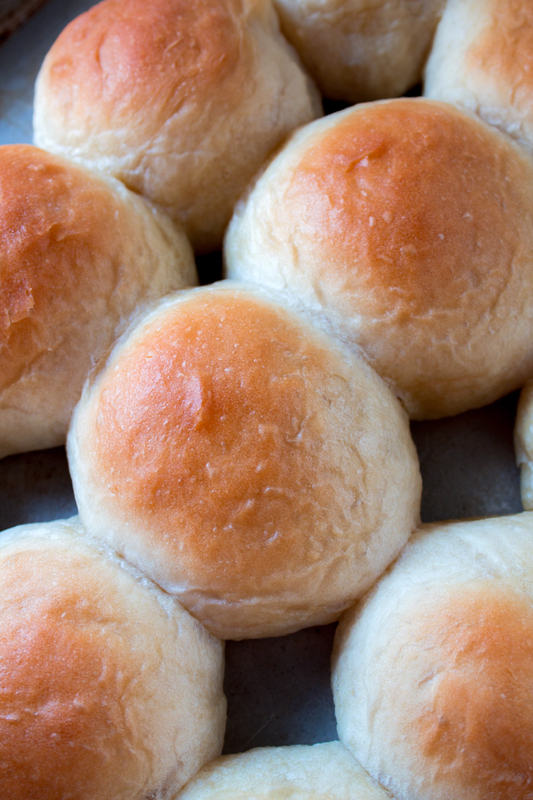 how many rolls does this make? Stephanie it makes about 16 rolls.